This year, millions around the world paused to celebrate the legacy of an American-born priest from Connecticut whose faith embodied the call from James 1:27 to care for “widows and orphans.” This year marks the 125th anniversary of the death at age 38 of Father Michael McGivney, the founder of the Knights of Columbus, now the largest Catholic fraternal organization in the world, with some 1.9 million members internationally. This year also marks another significant milestone for the Knights of Columbus, the introduction of a new service: the Knights of Columbus Asset Advisors. “We created the Knights of Columbus Asset Advisors to be of continued service to the Church,” explains Anthony Minopoli, President and Chief Investment Officer. This work continues the Knights’ strong legacy of service to the financial needs of the faithful. As of February 2015, the Knights of Columbus investment professionals managed nearly $22 billion in assets in both their insurance annuity and church loan businesses. “The asset advisory services we now offer institutional investors is a natural extension of our other financial services businesses,” notes Minopoli. The Knights of Columbus Asset Advisors now offers a suite of faith-based investment solutions through the same in-house group of portfolio managers, credit analysts and traders that manage the assets of the Knights’ other businesses. These investment solutions are managed strategically with Catholic moral screens consistent with Catholic Social Teaching. The majority of the Knights of Columbus Asset Advisor clients are utilizing model client portfolios where they have selected one of the Knights’ asset allocation models, comprised of assets across the Knights’ six proprietary funds. The typical Asset Advisor client is a Catholic diocese, college, hospital or foundation. “In early 2016, we expect to launch our first Catholic alternative investment strategy,” explains Minopoli. This product is a bank loan strategy that will take the Knights’ approximately $90 million loan portfolio and put it into a limited partnership so investors will be able to invest in a live portfolio. “The Knights of Columbus Asset Advisors will manage the top down strategy, capital raise, manage the Catholic investment compliance and handle client service,” says Minopoli. “This will be the first and hopefully not the last of new products we bring to the Catholic institutional market,” notes Minopoli. Charity: The great commandment—love thy neighbor as thyself. This core tenet of faith compels the Knights to seek opportunities to help those in need, contributing millions of dollars and countless hours in service to others. Unity: Solidarity—the idea that “none of us is a good as all of us.” Together the Knights work together for the betterment of the parishes and communities. Patriotism: Dedication—in service to God and country. Patriotism entails a strong commitment to civil participation. 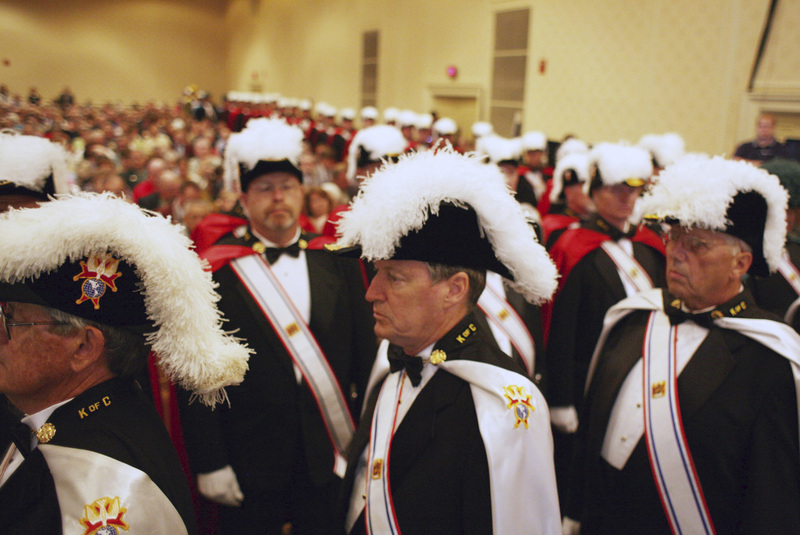 The Knights of Columbus recognize that their mission, and their faith in God, compels them to action. “At the Knight of Columbus Asset Advisors we never hear the word ‘client.’ We owe a higher level of duty and care to those we serve,” explains Minopoli.